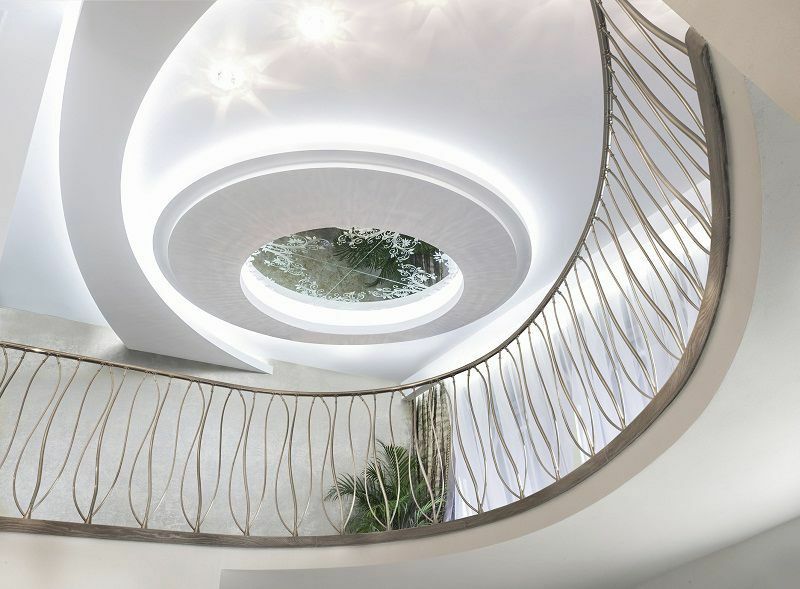 The Decor interior banisters are completely made of AISI 303-304 stainless steel with no welds but with mechanical fastenings or with copper and brass. 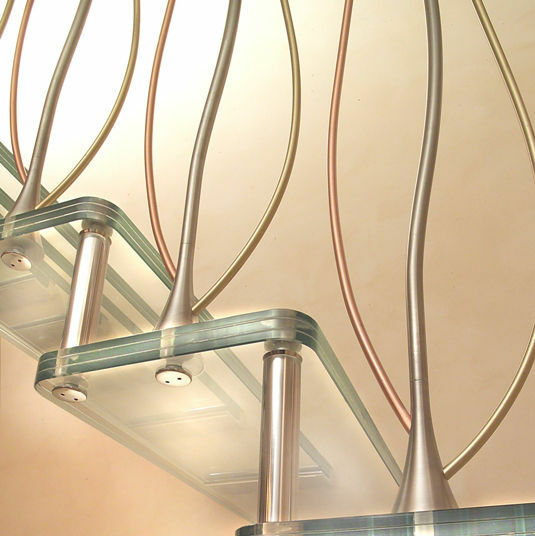 The Decor banister is divided into Gaudì with 3 branches completely made of stainless steel or copper-stainless steel-brass, Gaudì with double curved post completely made of stainless steel, Gaudi with straight double post completely made of stainless steel and the banister with laser-shaped satinised stainless steel panel. 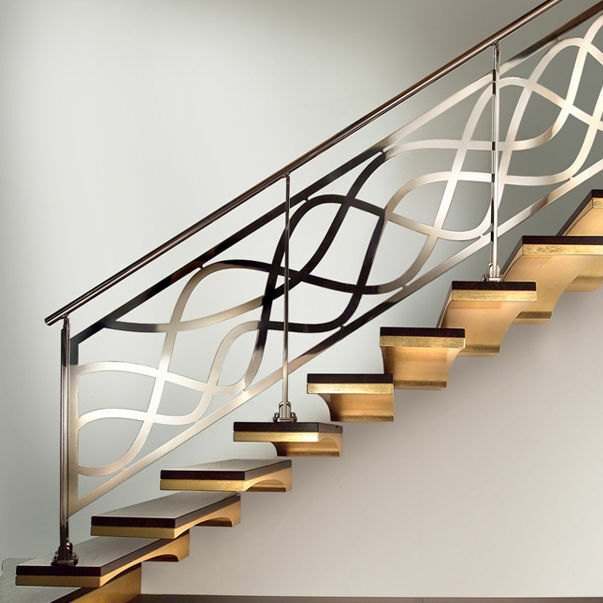 The banister can be attached outside the step or on the step. 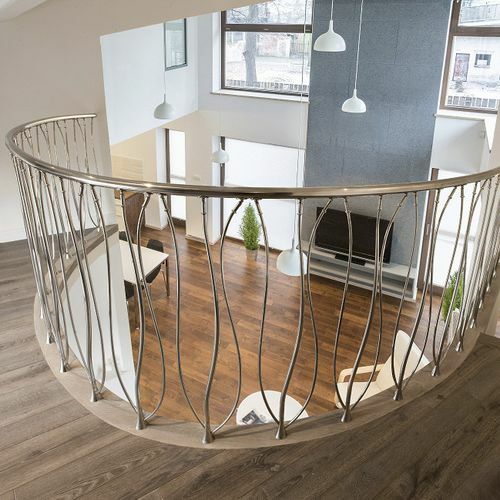 The handrail can be supplied in stainless steel Ø 35 mm or in wood Ø 50 mm that comes in various types (Beech, Oak, Doussie, Wenge, Teak, Iroko) and with several finishes (oil, bleached, polyurethan varnishes, etc) and it can be parallel with the banister or offset to increase safety against climbing over. 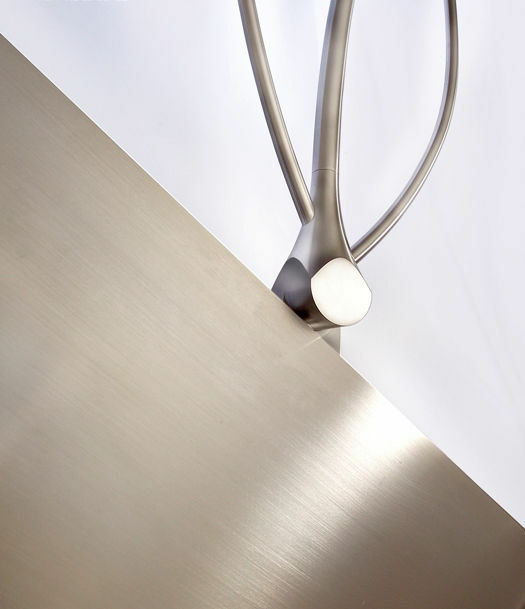 The handrail can also be supplied with laser-shaped satinised stainless steel panel.